Summer is a very happy youth who is loved by all who know her. Summer enjoys walks, playing in water, being outside, jumping on the trampoline, and riding the tricycle. She likes van rides and watching cartoons. She also enjoys holding empty plastic bottles and tossing them up and down. Summer can often be found playing with a stuffed doll and touching her toes or socks. She communicates nonverbally. Summer expresses herself with sign language. She has learned the signs for "thank you," "more," "eat," and "juice." She is starting to say more words and will continue to work hard on saying words with the help of her caregivers and speech therapist. Summer is dependent on others to provide for the majority of her needs. She is not capable of getting herself out of harmful situations; therefore she has to be monitored at all times. Summer can smile and laugh, and will cry when she is worried or distressed. She has a habit of putting things in her mouth and chewing paper so she receives close supervision. Summer has difficulty transitioning from one activity to another. She eats very well. She prefers warm foods and she does not like broccoli. 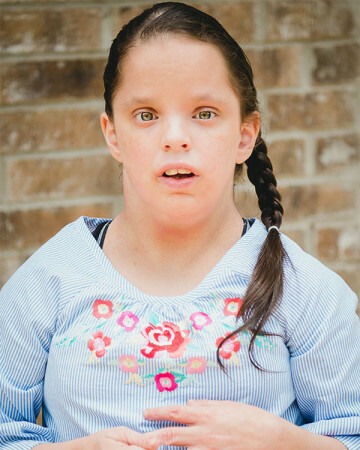 Summer's forever family needs to have some understanding that Summer will always need a family's help and supervision in meeting her day to day needs. Her ideal family will have some understanding of parenting a child with developmental delays. She needs a family who is nurturing. The best family for Summer will understand her lifelong needs and see the importance of encouraging her to reach her potential. She needs a family who will continue to involve her in all of the different therapies to help her be the best she can be. Summer needs an advocate in the educational community as well as throughout her life.